On the initiative of the Bibliothèque National de France, the review La Règle du Jeu, and two young philosophers, Joseph Cohen and Raphaël Zagury-Orly, a major symposium was held last week on the subject of Heidegger and "the Jews." Over the discussions hung the appearance of Heidegger's famous "Black Notebooks," a sort of intellectual diary conceived by the master for the purpose of eventually crowning the publication of his complete works -- and the only of this texts in which the Jews are explicitly mentioned and in which his anti-Semitism shows its face plainly. Is the existence of the notebooks -- black not only in the color of their original moleskin covers -- really so surprising? Is their publication really the event it has been chalked up to be? We already knew from his Introduction to Metaphysics about the "inner truth and greatness" of National Socialism. We knew the passage about "the most dangerous enemy," that enemy that "has grafted itself onto the people's innermost root" and that that calls for nothing less than "total extermination." We had all read the Bremen Lectures, including the rumination on the gas chamber being "in essence the same as the mechanized food industry" (an observation that could pass, at the farthest limit, for an assessment of the monstrously industrial dimension of the destruction of the Jews) but also analogous to (and here, by contrast, we are facing plain Holocaust denial) the "starving" of defeated Germany or to the manufacture of hydrogen bombs. And finally, we knew, without rummaging amid the despicable acts of Heidegger, the university rector who ended his speeches with a resounding "Heil Hitler! ", without attributing any special significance to this or that dirty trick dealt to a Jewish colleague (Husserl, Baumgarten...) or this or that personal friendship (the one with eugenicist Eugen Fischer, intellectual patron of the good doctor Mengele, for example), about that vein in his work (the one, in sum, that made the German into a New Greek, the avatar of a new "metaphysical people" responsible, like his predecessor, for "Being" and its stewardship) that fed National Socialism and was fed by it. The real question was not to recall for the umpteenth time that this great philosopher was also a real Nazi. Rather it was to ask what can and should be done today about the living paradox, the terrifying oxymoron, of an individual about whom we cannot even say, as we could about Céline, that he had two separate faces. We cannot do that with Heidegger because in the same works, the same sentences, often the same word, the man appears as a lofty philosopher and as a purveyor of infamy. Should we just forget him? Decide that one cannot presume to succeed Aristotle and Spinoza after lauding selection and breeding? Throw out the "ontological difference" with the bath water of the Nazi state that found in that difference -- in certain texts -- a little extra added sublimation and justification? Jump at finally having a good reason not to have to struggle with one of the most arduous and complex of contemporary philosophers? At the symposium I tried to argue that despite the queasiness and shame one sometimes feels when browsing a meditation on Heraclitus or Hölderlin and encountering some tawdry episode of the German struggle decked out with all the dignity of the majestic Event, we must continue to read Heidegger -- especially because he is the origin of a share of the greatest, most essential thinking of the last 50 years. Sartre's philosophy of the necessarily dependent freedom of the Dasein, that light, leaping entity without substance or interiority made possible by Being and Time. 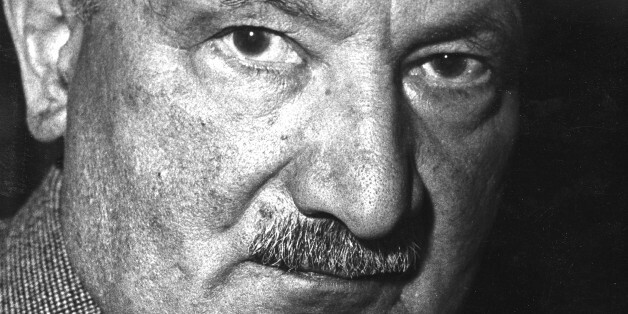 The rebellions of the 1960s, the currents of anti-authoritarian and libertarian thought whose first adversary was metaphysical ingenuousness, currents deeming "natural" what Heidegger had taught us to think of as "historical." The "theoretical anti-humanism" of those years, the considerable capital gain in meaning and knowledge, the inestimable increase in intelligence and truth that he brought (yes, indeed!) to our awareness of real beings -- this fecund shifting of lens and frame that produced a great moment in thought, for which Heidegger provided the formula. Levinas, of course, and then the second shift, subordinated to the first, which moved not from Being to being but from being to the other. Lacan, physician and philosopher, the successor to Freud, the glamorous thinker, the diviner of that unconscious that is structured like a language, the exploration of which reputedly follows channels opened in the very flesh of the signifier. That, too, would have been impossible without the oracular Cratylism of the last philosopher to have believed that words resemble things, that the art of etymology is the royal road of knowledge and that dialectics must give way to exegetics. I could cite many other examples nearly as strong. It is the entire "linguistic turn" in contemporary philosophy suggested by Gottlob Frege that must be considered here. You have no other choice: Either read Heidegger, despite everything, or tell yourself that philosophy ends at Kant's "limit," Hegel's "totality," or Bergson's "recovery."